You are acting in Malayalam, Tamil, Kannada and now Hindi films. Why do more women than men manage to have a pan-India presence by acting in multiple industries? It’s great that we fit in everywhere, as any actor should. But I am also worried that there isn’t a certain – I have a Malayalam word for it – iritham, oru orapa, to grow roots in a space and stay there to create more. Because somehow the replaceable idea is also attached to female actors, the idea that you are dispensable, people are not banking on you. In any industry, people completely bank on male superstars. That is unfortunately not yet created for women. It’s bothersome that we can be everywhere but we don’t seem to be able to stick to one place and create a viewership for our films. In Hindi there is a Kangna, Deepika, Priyanka. Vidya Balan is doing that beautifully. You know if she is in a movie she is definitely doing something interesting, just as you know with the Khans. I don’t see that happening in Malayalam except with Manju chechi (Manju Warrier) whose films people go to watch because she is in it. Numerous producers, directors and writers have told me women don’t bring in opening collections. But women are not given larger-than-life roles consistently over time, that would give them the kind of fandom that guarantees opening collections. Do you agree? And the more successful you become as a female actor, the less offers I am getting, because there is a fear that if you let someone be that powerful, you’ll lose ground. Camps have a way to protect their power. Market value humey dukaan se thhodi milta hai (you can’t buy market value). We have to create it. We can only do that by giving women more characters whose dramatic need is not just to fall in or out of love, characters present in more political, thrilling, mysterious stories, characters who are present because those are characters. We need to see more of women for us to connect. That’s when market value increases. Why aren’t more roles written for women? I would totally put producer-director-writer combos prathikkoottil (in the dock) and ask them this. Audiences clearly aren’t being given this, so how will they create a market for us? I agree with you. It’s not just that they are incapable of writing it, there is also this structure they have created in the industry so that people who do have a variety of stories won’t get producers too interested because they want the formula to work. We’ve cracked it here in Malayalam. 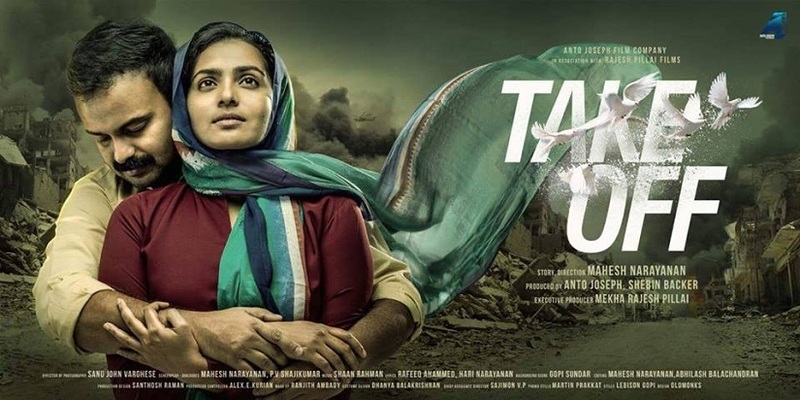 In movies like Traffic and Salt N’ Pepper, or in Take Off, for example, though Sameera is the protagonist, we have Fahadh Faasil and Kunchacko Boban in it and it doesn’t matter who the protagonist is. The story is what matters. Our producers still do worry, but at least we’re able to make this content here without making it larger than life and a fantasy. And our realistic films make a profit. To people who say such films do not naturally come to them, okay boss, don’t write it, fine, you step aside and at least let others who are capable do it. They are not even giving space for others. So it’s slow, but still I feel optimistic considering the kind of movies coming now. The true story on which Take Off is based is also the inspiration for Tiger Zinda Hai in which Salman Khan is the central figure. 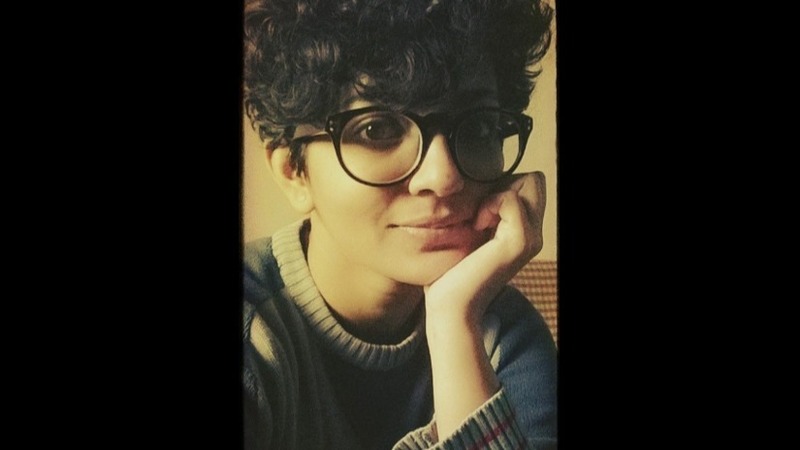 Not that the Malayalam film industry is without faults, but what does it say about the nature of our industries that Malayalam cinema did a Take Off centred around your character because that was what the real-life story was, and Hindi cinema is doing that same real-life story but centering it around a man? I’m shocked and numb by now seeing stories that are essentially of a woman made into a man’s from the time I can remember in Malayalam. In Tamil too. So it doesn’t surprise me. What surprises me is the lack of faith in female actors and women in general, this ridiculous notion that men cannot empathise with women and something creeps up under my skin when I hear the term female-oriented. Do you say male-oriented for male-oriented films? No. Why not? The more you degenderise human stories, the more relatable it is. So it is disappointing that they couldn’t have done the movie with a female lead. That would have been refreshing and taken us to a whole different height with regard to how women are going to be in cinema. 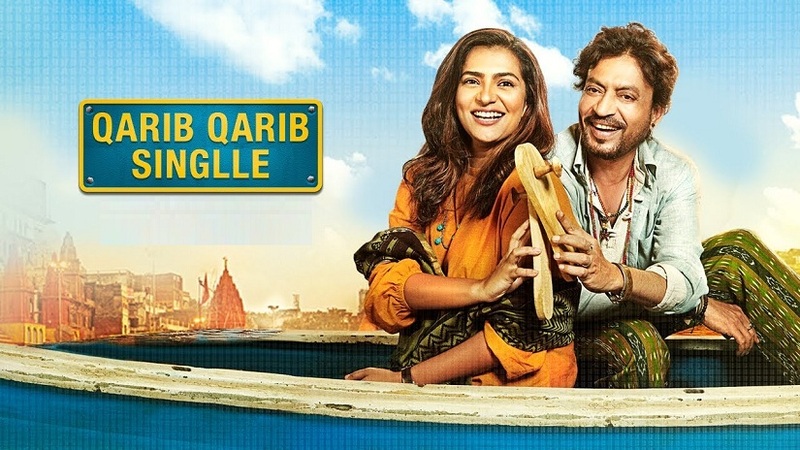 Some people say Qarib Qarib Singlle (QQS) gives a woman importance because a woman directed it. But Queen and Take Off were made by men. We do need more women telling women’s stories, but where do people get this notion that men can’t tell women’s stories? I have no idea. It’s the most beautiful thing for me to watch a movie like Queen (directed by Vikas Bahl), or Take Off (director: Mahesh Narayanan). Sameera emerged from innumerable discussions with Mahesh. She is a mix of my vision as a woman and how he views her as a man. And he can only think as a man, I wouldn’t want him to force himself to think as a woman because I want to see the flavour he brings to a woman as a man. How does gender come into play? It didn’t matter while Tanuja (QQS director Tanuja Chandra) directed me and Irrfan. (Laughs) Anjali (Anjali Menon who is directing Parvathy in a Malayalam film co-starring Prithviraj Sukumaran) talks to me and Prithvi in the same way. I’ve been surrounded by such people, so I immediately sense the difference when a man-man talks to me as me, a woman. Those are the storytellers with a patriarchal way of looking at women and machoing up men. I’m at a point, Anna, that I’m tired of screaming at them and questioning them. I’m like, do your thing but we will do our thing. We will not let this be an imbalanced narrative for society to watch. They believe they are right, Anna. You cannot change everyone, and you’d rather use your creative juices creating something you believe is right. Your character in QQS does not match the present notion of female beauty in Hindi cinema. I don’t mean to talk down our beautiful heroines, but sometimes you want to see a woman who does not look like a dolled-up model but is pretty in a pretty-person-I-might-meet-as-my-neighbour kind of way. Did Tanuja pressure you to conform? Would you have given in to pressure, if there had been any? No. My reservation about Bollywood films before I did this one was that I didn’t know how much I could be an actor and how much more they would want me to be a star, and I have no interest in being a star. That is not an area I enjoy spending my time. It disorients me to focus my energies on that. Some people thrive on it, and I acknowledge them with respect. In the beginning I was like, “Why are they doing it? It’s because of them that I’m asked to do it too,” then I realised we can all co-exist, and life became better for me. I can shape shift for characters. If I am to play a warrior queen, athlete or model in a movie, I will be completely groomed and fitting a certain body type. Give me a logical reason why a person is to look like that apart from you loving a certain jawline or neckline, and I am in. Malayalam heroines are not dolled up unrealistically, unlike Hindi heroines. You can even sometimes see their pimples. But there are many more solid roles for women in Hindi than Malayalam. Women keep disappearing from Malayalam. Can you explain this dichotomy? It’s tricky for me, Anna, because yes, there are some interesting and strong characters in Hindi cinema, but in Malayalam I have got such characters over a period of 10 years. I haven’t seen that consistency in Hindi. You see a Queen (2014), then you’re waiting for another Queen. Then Simran (2017) comes, it doesn’t quite work out the way Queen did, but I was happy because Simran is beautifully flawed yaar. She’s crazy, and you want to see that too. Where is the next Piku? So, whether in Malayalam or Hindi, consistency is the key and we don’t have it yet. We have spurts of interesting characters, but we don’t have more Sameeras happening. Sameera uses Shahid, she realises the only way out of there is to marry this guy who seems to love her. You don’t often see such characters. I was overjoyed to know she makes this choice. And people didn’t judge her for it. If it was somewhere else (other than Malayalam), “Oh my god, a woman using?” Even with her pregnancy, we’re able to show a woman on screen talking about aborting her child because she cannot afford one, Anna. We’re showing that sort of liberated woman. So Take Off is a win on many levels. And the dolling up part, yaar, what do I say? I got innumerable messages on Instagram asking, “Chechi avude chennitta enda itharem makeup ittatha promotionina?” (Chechi, why did you wear so much makeup for your promotions there?) For them it was a lot although for me it was just a little makeup I did to have fun during the promotions. But here (in Kerala) I go for promotions wearing my Dad’s shirt and just mudi molila ketti vechchitta (tying my hair on top of my head). It’s not a big thing, the looks thing. So how come there is such realness in the styling of Malayalam women actors though the industry is male-dominated? Right from Hum Aapke Hain Koun! we’ve immortalised costumes, makeup, curls. So (Hindi) films have been more aspirational than relatable. Malayali audiences always went for more relatable than aspirational. They never take being told, “Hey, would you like to be like this?” They’d be like, “Onnu poda cheruka.” (Buzz off!) Probably one of the reasons is that they’ll not take a benchmark given to them. We do have our superstars calling the shots on a lot of things in Malayalam, but at least they’re not caking us women up. You are 29, Irrfan is 50. Why did QQS need to make your character 35 and his 40? So that your characters are close in age to each other. This happens routinely in Hindi cinema, that men in their 50s play characters not their age and act with women half their age. Would the story have been less real if you were acting with a 30 or 35-year-old man, or if he was acting with a woman who is 40, 45 or 50? (Pause) You’re right. But there are two sides of this, knowing the team of Qarib Qarib. The truth is Irrfan was going to play Yogi, they wanted an actress who could pull off Jaya, they found me and believed I could do it. At no point did they want to make me look 35. The only reason we discussed age is, “When did she get married? She must have been about 22, and Manav (the character’s husband) passed away maybe two years later.” I agree that apart from Qarib Qarib Singlle, everywhere else there is a dearth of actresses who are past 40-50 years old. Why? Aren’t they likeable and flirtable? But here it was not that. Tanuja happened to choose me, probably because she had faith in me. If Jaya had not written her age on the dating website and we skipped mentioning Yogi’s age in the film, it could have been a 29-year-old and a 50-year-old man. But the film did make a point of mentioning the characters’ ages. The writer’s point was that a woman her age felt the need to dial it down to 33 online. I have a problem with that being taken out of context and saying they’ve portrayed a 29-year-old actor as 35. That was never the intention. But I understand – the pairing of older actors with young actresses is so predominant in our industry that it’s natural we view this film in that context. If I am given a role of an 18-year-old, I would not like to be pointed out that hey, why wouldn’t you let an 18-year-old do the job? You know, I can act. A movie came to me where my character goes from 15 to 60 years of age. I was unable to do that film, but I remember the director had already selected a 15-year-old for the younger part, but there is a very intense scene for her so I requested the director to give me 4-5 months and invest just a little money, and could I please do that? Because I would love to live that character at 15 too. Let me stretch my acting abilities. It is not that I wanted to rob that role from a 15-year-old, it’s truly just about wanting to perform. The problem is not with a 29-year-old woman actor being cast as a 35-year-old. The point is this business of 50-year-old men routinely being offered roles as 40-year-olds. That role you mentioned where your character goes from 15 to 60, and the director had already cast a kid to play the 15-year-old – if the character was male, chances are the director would not have got another actor to play the 15-year-old, the same actor would have played the entire age range. Do you get what I’m saying? I do. I read your review of Qarib Qarib Singlle, and I would clarify that from this team I have not seen that. I’ve been part of films where the guys have been extremely older than me and still a romance angle was brought in, and I tried to find reasons for my character in the script. It’s a very sad situation to be in and again brings up the point of the replaceable quality of female actors. But I would like to speak up for this movie – the idea was not about pairing a younger actor with a much older actor and linking their age together. I didn’t come across any such intention in my filmmakers and I would back them here. Could it be a hesitation to have a 50-year-old man play a 50-year-old man? I want to stick to my answer on this. If there was then there was, but I didn’t come across that kind of thinking. Okay. One of the most fantastic things that’s happened in India cinema this year is the Women In Cinema Collective (WCC) in Kerala. How did it come about? It’s come about because of our colleague who spoke up for what happened to her. That gave us all a reason to reflect. You’re talking about the assault case, of course. Yes. That gave us all a reason to come together and say: why have we been quiet? We realised we all were made to believe it doesn’t happen to everybody. We were made to believe we were alone in it and when we started talking we realised, oh no no no, we’re all in it all this while together, we just weren’t allowed to feel that. So we’ve found the best way to change and dignify the workspace for women in our industry, to bring in a legal system in the industry where issues are dealt with head on immediately so that it becomes a habit, for repeat offenders and everyone to note that they cannot do this, and for women to know they do not have to be submissive. The goal is also to bring more women to make films, to foray into every aspect, production, distribution, editing. Like I said, let others do what they have to do, but now we gotta do what we gotta do. WCC came at a brilliant time but Anna, I have a problem with the national media making this about Mollywood’s dark underbelly. Did the national media bother to cover it at all? Oh, they didn’t bother, but finally, finally when they did cover it, the headline was, “the dark underbelly of Mollywood”. I was like, what? If anything I’m proud of Mollywood because we are creating noise. The fact that everybody else is silent means they are a bit more scared, they seem to be comfortably numb and silent about what’s happening there. We have created this noise and now change is inevitable because we’ve made this happen. WCC is working with existing organisations, and they are responding well. We’re having discussions with all the powerful men. They’re all willing to have conversations finally. It’s a great start. Are all of them willing or some of them? Uh, all of them who have been very silent are now forced to talk because they are part of those other organisations. So they are talking now. There was no other way.